(Newser) – A petition urging President Obama to commute Chelsea Manning's sentence to time served has passed the 100,000-signature threshold that may require an official response from the White House—though Obama is only going to be there for another 38 days. "We did it! 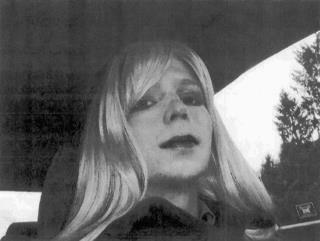 Thank you so much for your love and support," Manning's official account tweeted after the threshold was passed. "I don't know what to say. I am just grateful that I am not forgotten," she said in another post, per NBC News. According to the petition, the transgender soldier, who is six years into a 35-year sentence in military prison, "has already served more time in prison than any individual in United States history who disclosed information in the public interest," and "her disclosures harmed no one." keep it in its cage!